Harley-Davidson has expanded its online H-D1 Bike Builder customization tool to include more models from its current lineup. The H-D1 Bike Builder allows users to customize motorcycles with parts from Harley-Davidson‘s catalog. 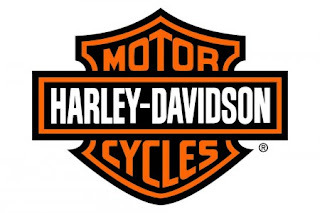 The tool was previously only available for Sportster 1200 models but Harley-Davidson has add all of its models except for the high-end Custom Vehicle Operations line. After customizing their motorcycles online, users can print it out to bring to a dealer to place an order for a new Harley-Davidson motorcycle with all the requested parts. 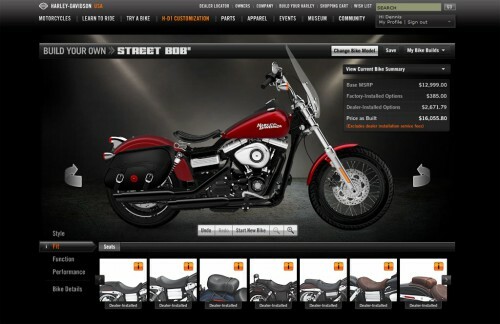 Users can also save their customized Harley as wallpaper or share it on Facebook or Twitter. Options will vary from model to model but users can select different paint schemes, wheel designs, seats, luggage and windscreens as well as exhaust and intake upgrades.